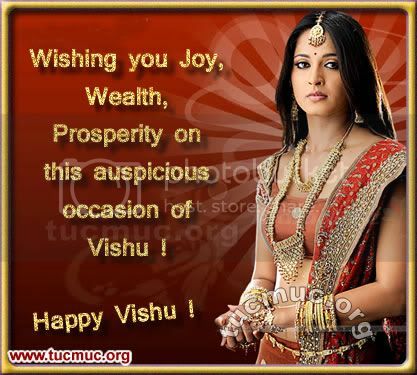 The Malayalam new year day is known as "Vishu" . 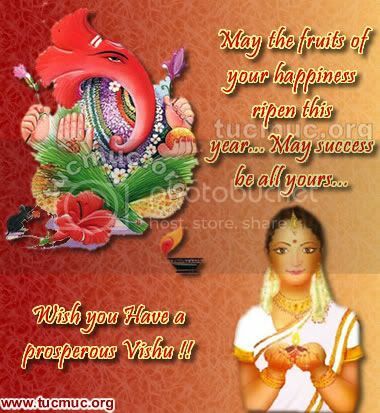 Vishu is the first day in the first month of Medam in Kerala, the beautiful coastal state in southern India. The people of this state - the Malayalees - begin the day early in the morning by visiting the temple and seeing any auspicious sight, which they call "Vishukani." The day is full of the elaborate traditional rituals with tokens called "Vishukaineetam", usually in form of coins, being distributed among the downtrodden..Celebrate this Malayalam New Year with your friends on Orkut, Friendster etc.